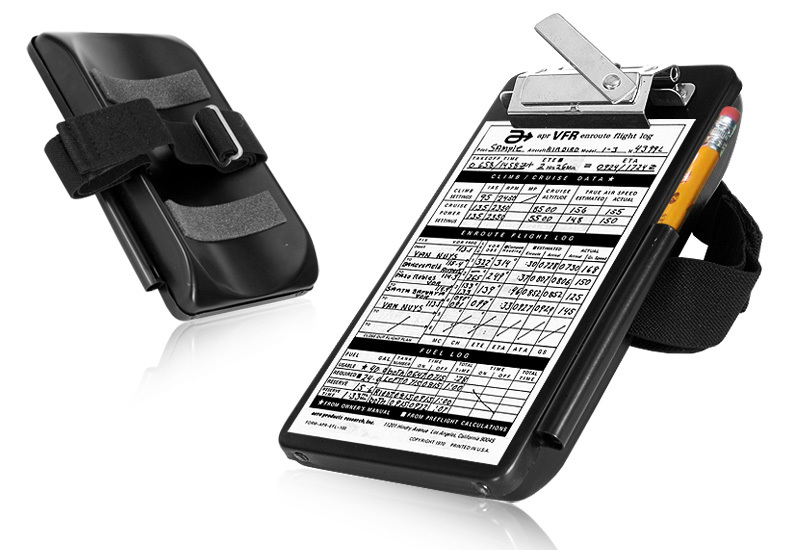 APR’s MK-9 is a light-weight, heavy duty pilot’s kneeboard. It is contoured to comfortably fit either leg with foam pads that prevent movement. A velcro® closure on an elastic adjustable leg strap allows for quick and easy removal. 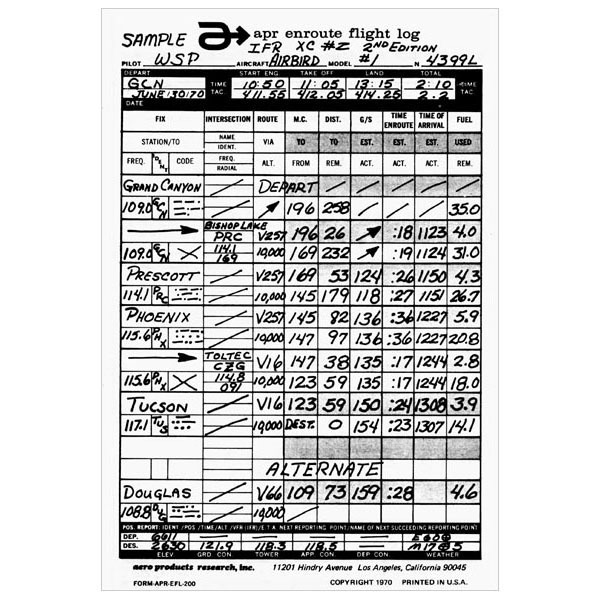 The kneeboard has a swivel arm big bear clip that opens to 1” to hold flight plans, charts, maps, or an approach plate book. The MK-9 has a pencil holder on the side of the board. 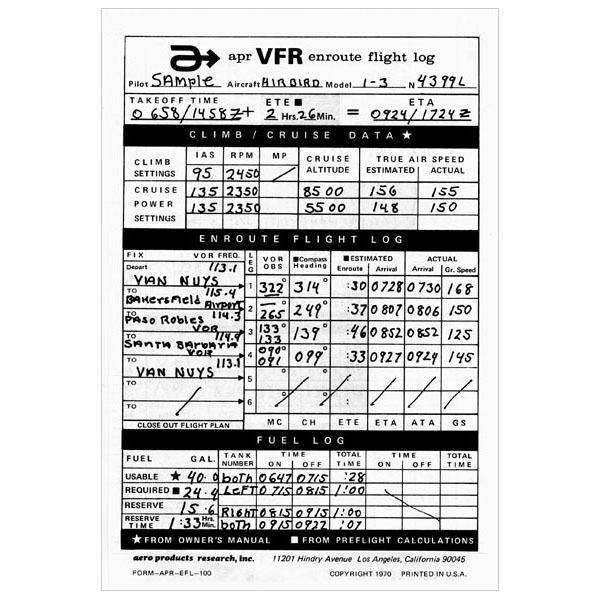 The kneeboard comes with a pad of VFR en route flight logs that show VFR example log sheets and instructions. 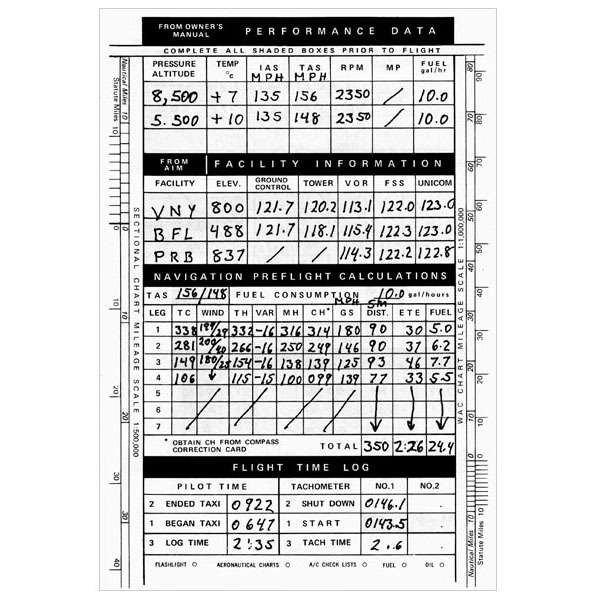 IFR logs are also available for purchase. Lifetime construction, non-glare anodized aluminum. 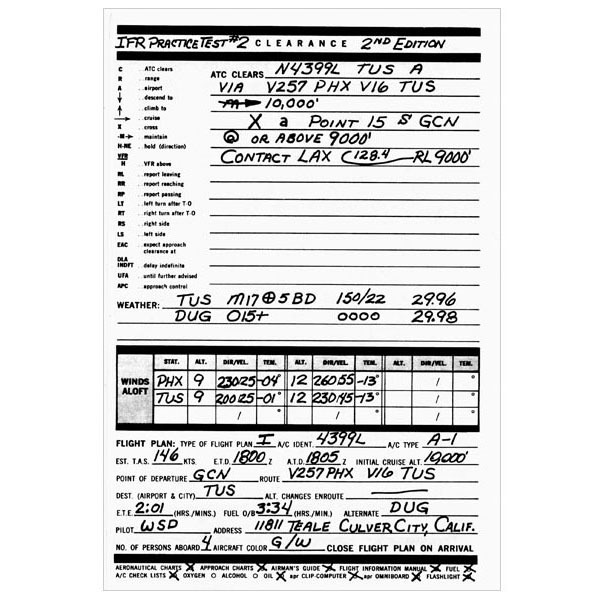 9” x 5-3/8”.